While the month of October is long gone at this point, Halloween is going overtime. As we know, horror television has become a staple with shows like The Walking Dead, American Horror Story, and Stranger Things attracting fans of the genre. 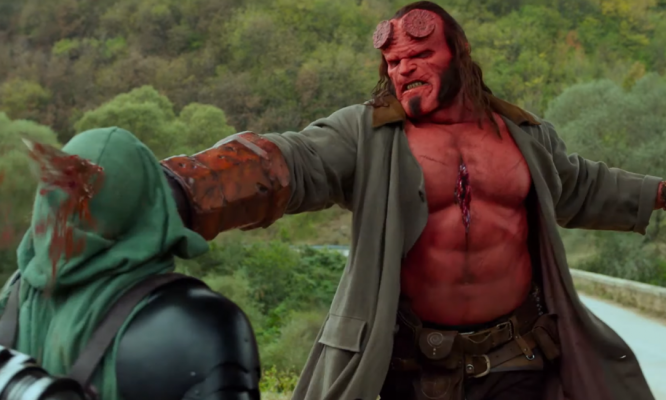 Last month, Netflix released, The Haunting of Hill House, a brand new show that has received a ton of buzz from horror fans since it dropped. While there’s seemingly always something new to watch in this day and age, is the show worthy of all the praise heaped upon it? For the most part, yes. 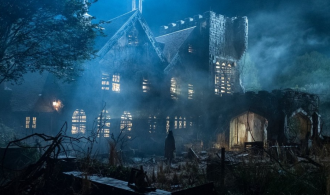 The Haunting of Hill House was created by Mike Flanagan with Flanagan writing and directing all ten episodes as well. For those unfamiliar with the writer/director, he has been responsible for some solid horror content over the past few years. He directed 2013’s underrated Oculus as well as Ouija: Origin of Evil in 2016. Netflix, has released a number of films from Flanagan including Hush, Before I Wake, and Gerald’s Game. Flanagan’s The Haunting of Hill House is based on Shirley Jackson’s 1959 novel of the same name. It’s actually not the first time that Jackson’s novel has been adapted either. 1963’s The Haunting and its 1999 remake have both adapted the novel in the past. The 1963 version has become something of a cult classic while the 1999 film has been panned since its release. Flanagan’s series centers around the the Crain family during two different time periods. In the summer of 1992, Hugh (Henry Thomas) and Olivia Crain (Carla Gugino) move into the Hill House mansion along with their five children to renovate and resell it to eventually build their dream house. During the renovation, supernatural occurrences begin happening that plague the entire family. A final family tragedy drives the Crains from the mansion. The other time period is set in the modern day with the now-grown children, Steven (Michiel Huisman), Shirley (Elizabeth Reaser), Theo (Kate Siegel), Luke (Oliver Jackson-Cohen), and Nell (Victoria Pedrelli), having to deal with their personal and familial demons. Twenty-six years after the events of Hill House, another tragedy strikes and the estranged family reunites again, along with the elder Hugh (Timothy Hutton), to confront their time spent in Hill House. As always with horror, what people usually want to know is if something’s scary. It’s safe to say that The Haunting of Hill House has some of the best scares seen in the horror genre in quite some time. Much of that comes from Mike Flanagan himself. Throughout his resume, Flanagan has excelled with producing legitimate thrills. With Hill House, you do get some of the typical horror jump scares but they’re extremely effective. In particular, there’s one in a later episode that may require you to pause the show and take a breather. Then, there are many subtle, impending doom type of scares. Something as simple as the head of a statue changing position to follow a character will have you second guessing what you’re seeing. It’s in these subtleties that the horror aspect of Hill House truly excels. Flanagan proves here that you don’t need to bombard viewers with stereotypically “scary” images. Again, the thought of the oncoming threat is often more terrifying than anything. Throughout The Haunting of Hill House, there are a lot of moving parts that keep your attention but are never tough to follow. 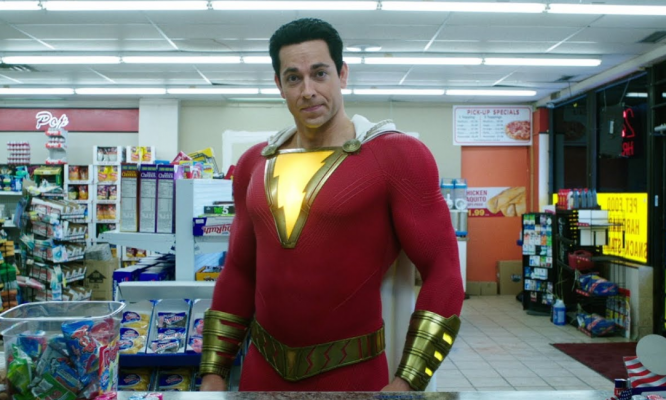 The show jumps back and forth between the past and present and does a good job spotlighting the individual characters. 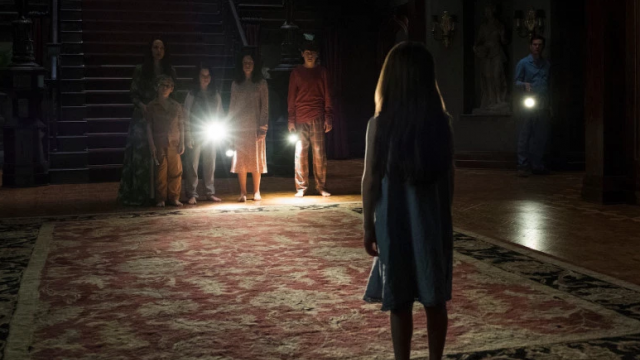 Depending on which character an episode follows, viewers will learn more about the fateful night at Hill House before being brought up to speed with current issues. The episodes also do a good job painting the other characters in different lights. You see the others from a specific character’s point of view so that your opinion of them is ever-changing as the series continues. For example, the character of Luke is a recovering drug addict. During an episode that mostly follows Steven, you see things that make you believe that Luke is feeding his addiction. Then, when you see the Luke-centric episode, you learn more about what Luke is currently going through. It’s a unique storytelling mechanic and it helps viewers to better know each character. Speaking of the characters, the acting is another highlight of the series. All of the aforementioned actors, as well as their respective child counterparts, are solid in their roles. 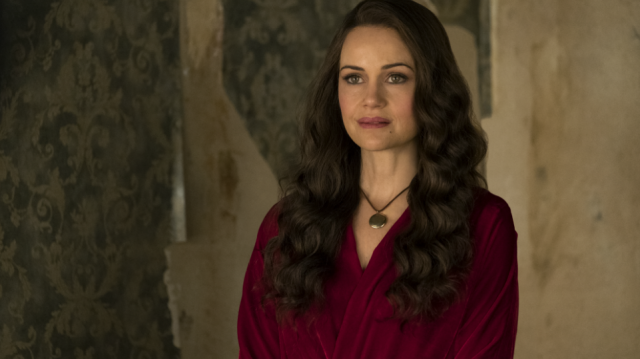 Though, the most memorable performances go to Carla Gugino as the matriarch, Olivia, and the three grown-up daughter characters played by Elizabeth Reaser, Kate Siegel, and Victoria Pedretti. Gugino has been doing some of her best work in recent years. One of her best performances was in Flanagan’s Gerald’s Game from last year. Gugino’s Olivia is a kind and loving mother who suffers mentally during the family’s stay. Her performance is warm but oddly chilling under the effect of the titular Hill House. Both Reaser and Siegel have worked with Flanagan before on other films as well. The latter is actually the director’s real-life wife. Pedretti is a newcomer to the scene having only starred in short films prior to The Haunting of Hill House. Her character-specific episode, “The Bent-Neck Lady,” is the high point and Pedretti serves as the emotional core of the series. As far as issues with The Haunting of Hill House go, there aren’t many. Overall, it’s a starkly beautiful, well shot horror series with a family drama at the center. However, there’s one terrible flaw in the show and it’s with the ending. No, the ending won’t be spoiled here so this will be vague. The show appropriately crescendos to a pivotal event but fails to deliver much of substance. This isn’t for lack of trying but Flanagan and company tack on an extremely cheap ending that will nearly make horror fans nauseous. Everything up to the final episode is done wonderfully. The way the show ends feels like a total cop out and is not satisfying in any way. You can’t even blame the show for following the book in this regard as the book differs mightily from its TV counterpart. However, the ending obviously doesn’t ruin the rest of the experience and atmosphere that The Haunting of Hill House delivers in spades. Like Flanagan’s past work, Hill House turns the seemingly mundane into legitimate terror. The characters are frightened by the mere existence of a house as it remains a specter of their past. Yet, through Flanagan’s deliberate pacing and storytelling along with some great acting from the cast, its easy to see why. While not perfect due to its questionable ending, it’s still one of the best horror shows, perhaps, ever. 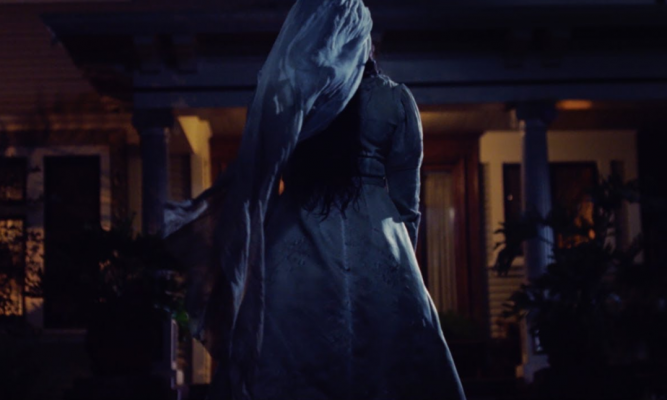 If you’re looking for a legitimately spooky horror experience, Mike Flanagan’s The Haunting of Hill House is the way to go.